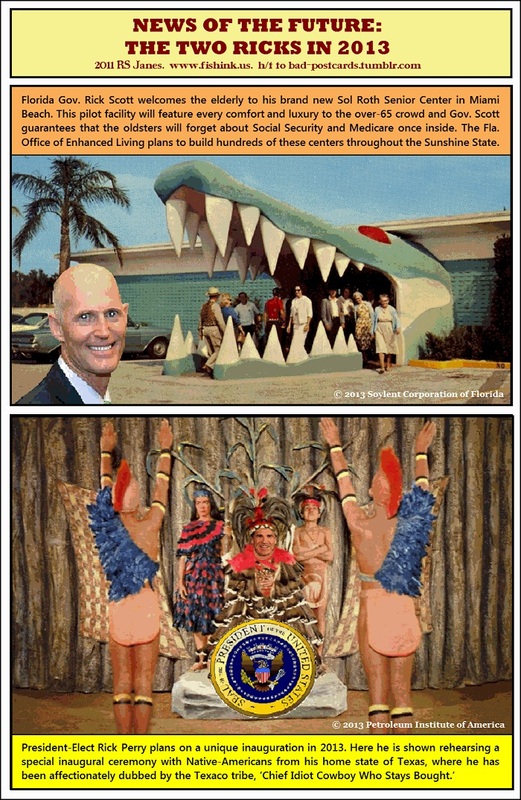 Florida’s Republican a-hole Medicare-fraud Gov. 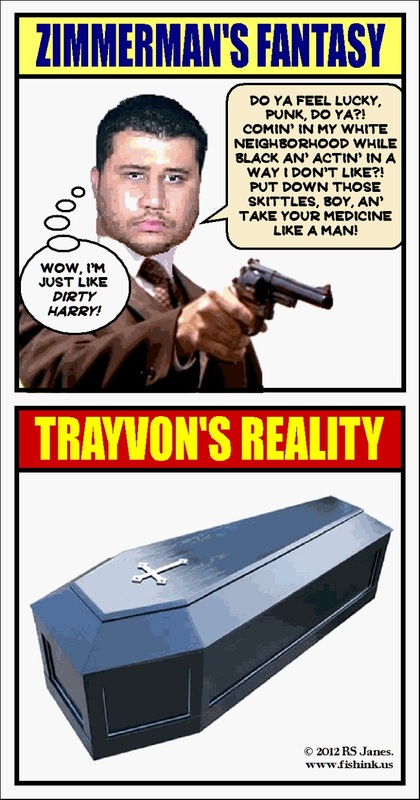 Rick Scott appointed Angela Corey as a ‘special prosecutor’ to determine if charges should be brought in the Trayvon Martin murder. Corey then announced she would send the evidence to a grand jury, until today. It must have dawned on Corey that there is now enough public evidence to bring several charges against Trayvon’s shooter George Zimmerman, including homicide in the first degree, so she backed off. No grand jury, but her ‘investigation’ will continue, which likely means she’s trying to run out the clock until mainstream media attention dwindles and then will decide not to arrest and prosecute Zimmerman. Why would Corey do this? 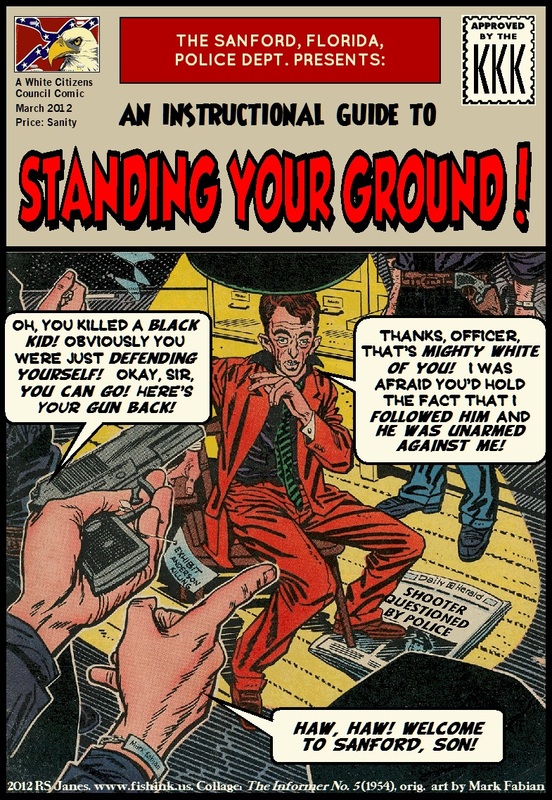 First, Republicans have an interest — the deep pockets of the NRA — in protecting ‘Stand Your Ground’ laws — a charge and conviction in the Trayvon Martin case might lead to a public demand for eliminating or changing those laws. Next, the state prosecutor who refused to charge Zimmerman around the time of Trayvon’s killing, even though the lead detective wanted manslaughter charges, and the Sanford Police’s conveniently ‘sloppy’ record of racism in the handling of the shooting deaths of black people, might spark federal investigations which would lead into the offices of prominent Republicans who have been condoning and covering up this kind of institutional racism for years and Corey can’t have that. Third, the Republicans would take a hit from their own crapshit crazy base if it seemed they were ‘caving’ on this issue — the GOP base doesn’t think Zimmerman did anything wrong by killing one of ‘them,’ and are furiously defending him. That means many might stay home from the polls next November or, worse, support a third party if Corey indicts Zimmerman. 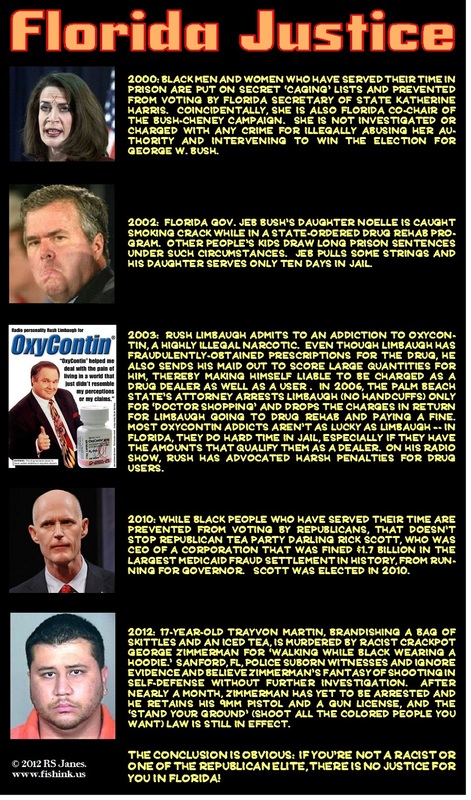 The question is: Are we going to let Florida get away with this rank injustice? If Corey can’t use the evidence already released to the public to arrest Zimmerman, let’s demand a prosecutor who isn’t so cozy with the governor and the GOP to conduct the investigation. State Attorney Angela Corey, appointed as a special prosecutor in the February shooting death of 17-year-old Trayvon Martin, has decided against sending the case to a grand jury, her office said Monday. “The decision should not be considered a factor in the final determination of the case,” Corey’s office said in a statement. Hillary Clinton’s campaign has a secret weapon to build its delegate count, but her top strategists say privately that any attempt to deploy it would require a sharp (and by no means inevitable) shift in the political climate within Democratic circles by the end of this month. With at least 50 percent of the Democratic Party’s 30-member Rules and Bylaws Committee committed to Clinton, her backers could — when the committee meets at the end of this month — try to ram through a decision to seat the disputed 210-member Florida and 156-member Michigan delegations. Such a decision would give Clinton an estimated 55 or more delegates than Obama, according to Clinton campaign operatives. The Obama campaign has declined to give an estimate. First, this coming Tuesday, Clinton would have to win Indiana and lose North Carolina by a very small margin – or better yet, win the Tar Heel state. She would also have to demonstrate continued strength in the contests before May 31. Second, and equally important, her argument that she is a better general election candidate than Obama — that he has major weaknesses which have only been recently revealed — would have to rapidly gain traction, not only within the media, where she has experienced some success, but within the broad activist ranks of the Democratic Party. TALLAHASSEE, Florida (Reuters) – Most Florida residents would be allowed to take guns to work under a measure passed by Florida lawmakers on Wednesday. Backed by the National Rifle Association and some labor unions, the so-called “take-your-guns-to-work” measure would prohibit business owners from banning guns kept locked in motor vehicles on their private property. Backers say the measure upholds the vision of the authors of the U.S. Constitution, who made the right to bear arms part of the Bill of Rights.